We were asked by Sister Sister, a clothing boutique in Sheffield, to create an eye-catching and festive invite for their fashion event. 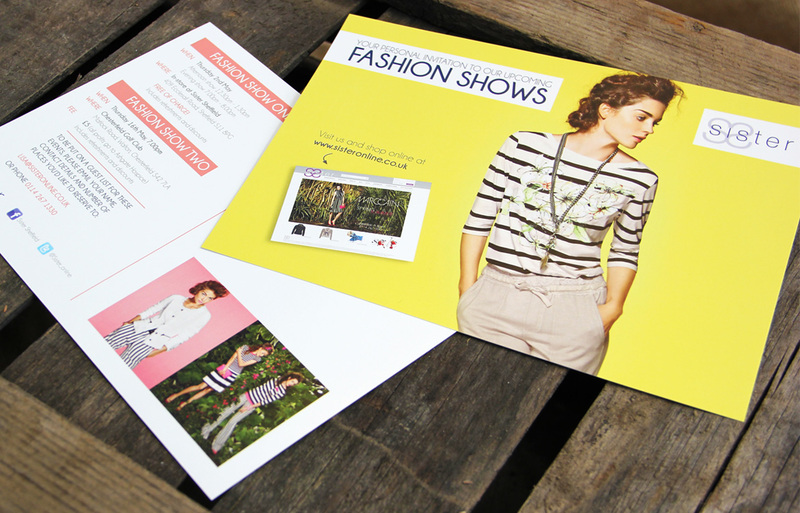 We also delivered on seasonal flyer campaigns to promote fashion shows and seasonal clothing ranges. 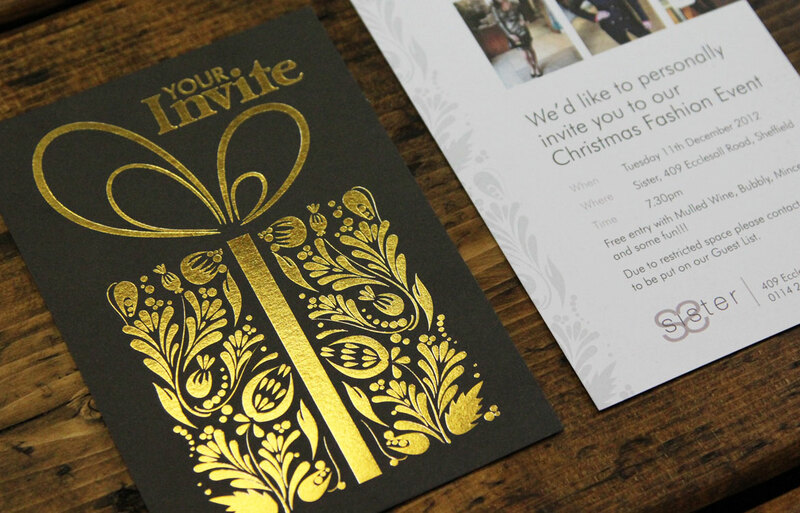 This invite has been printed in full colour on a beautiful 300gsm uncoated showcard, with gold foiling for extra impact. The design was successful in winning the boutique £200 worth of print through a national design competition!